I take it for granted that you can't learn Aikido from a book (any more than you can learn golf or billiards), but you can supplement the hours you spend on the mat. Some follks read for weeks before venturing into a dojo, others read them only when they know they're up for a test, and yet others skip all the writing about technique and concentrate on writings about concrete or abstract philosophies. 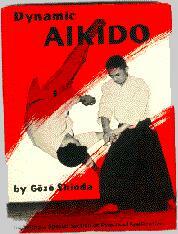 There are good books about Aikido, and there are terrible ones. And of course all of this is only my opinion. Nevertheless, from time to time, I'll scan in the cover of a book and give a tiny review. I'm not at all a fan of the "learn the techniques by looking at sequential photos" style of writing. 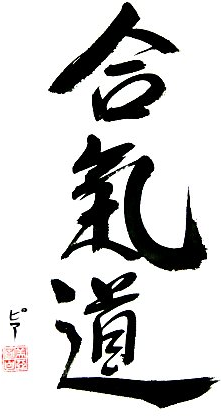 Gözo Shioda's Dynamic Aikido is an exception. It's a pleasant look at a variety of Aikido techniques, with rather clear translation of the original Japanese. I had to reread several descriptions but all in all I got a clue about what the goal is about. The photos are clear (although sometimes they flow across the page in a order unlike what Americans are used to).